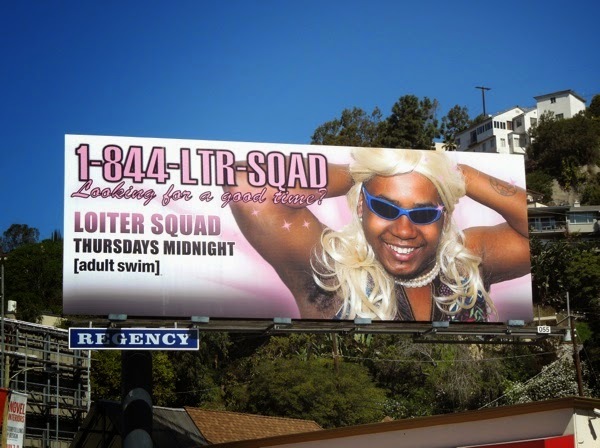 If you're looking for a good time, you can't go wrong with this faux call girl billboard for the third season of Loiter Squad. 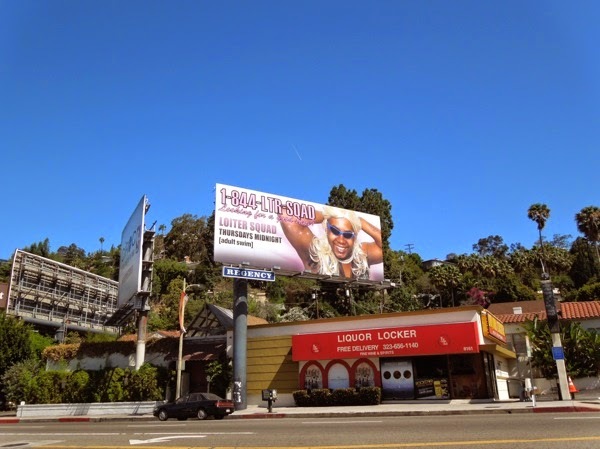 The live-action Adult Swim show's billboards are always eye-catching and this drag ad creative snapped along the Sunset Strip on May 11, 2014, is no exception. Tyler, The Creator, Jasper Dolphin, Taco Bennett and Lionel Boyce from the Odd Future hip hop collective are back with another season of sketches, pranks and music from midnight tonight. 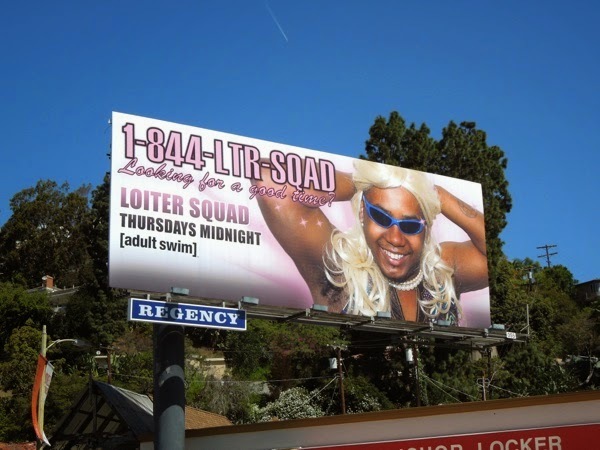 If you're a fan of the show, be sure to also check out these Loiter Squad season one and two billboards. 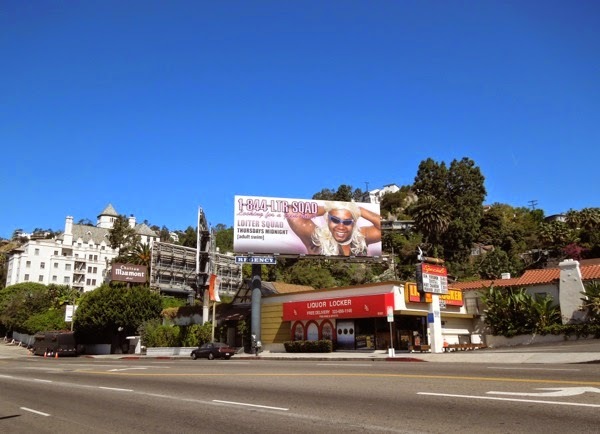 Plus for even more laughs take a look at more Adult Swim show billboards, which are unconventional, edgy and always making an impression in Hollywoodland.